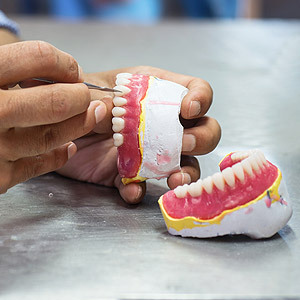 Fillings are one of the most commonly performed dental procedures, and yet this tooth-saving treatment often doesn't receive the respect it deserves. Des Plaines, IL, dentists Drs. Roman Dziubyk and Lorelei Grise' of Suburban Family Dental explain how fillings protect your teeth and discuss common filling materials. Tooth decay attacks and destroys healthy tooth structure. Removing the decayed portion of your tooth prevents the cavity from worsening or the decay from spreading to other teeth. Unfortunately, once the decayed area is removed, you'll have a hole in your tooth. Fillings seal the hole, strengthens the tooth and prevents bacteria from entering. Fillings also make it possible for you to use the tooth to chew normally. Composite: ​Flexible composite resin is tinted to match common tooth shades to ensure that your new filling won't stand out. Ionomer: Cavities can occasionally form on the roots of teeth, particularly if you have receding gums. Ionomer fillings made of glass powders and acrylic acids are used to restore tooth roots damaged by tooth decay. These fillings are tooth-colored to match your smile. Are you worried that you might have a cavity? Call Des Plaines, IL, dentists Drs. Roman Dziubyk and Lorelei Grise' of Suburban Family Dental at (847) 640-0778 to schedule an appointment.